How is SRK involved with Badla? 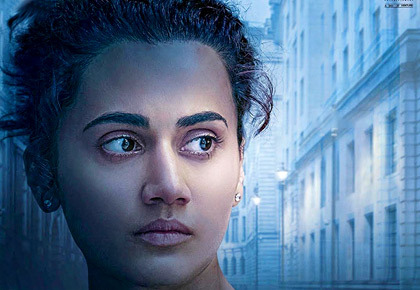 After PINK, Taapsee Pannu and Amitabh Bachchan will be seen in Badla. The posters for Sujoy Ghosh's film released on Monday, February 11. 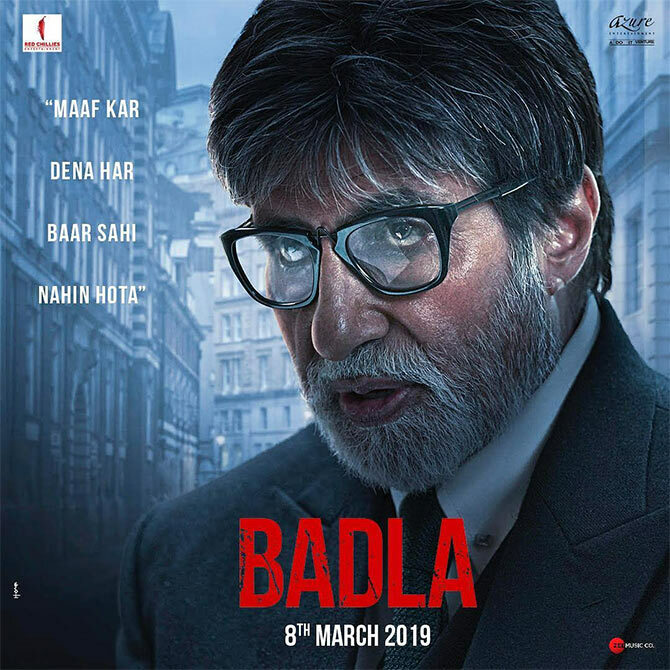 The Badla trailer will be out on Tuesday, February 12. To which Amitabh replied, 'Arey bhai @iamsrk, Badla lene ka time toh nikal gaya .. Ab toh sab ko Badla dene ka time hai'. Taapsee joined the banter, tweeting: '@iamsrk Galat cheez maang li aap ne... ab toh ban gayi film. Par phir bhi kuch lena hi hai toh ye Badla ka poster hi le lijiye! @SrBachchan looking great here'. 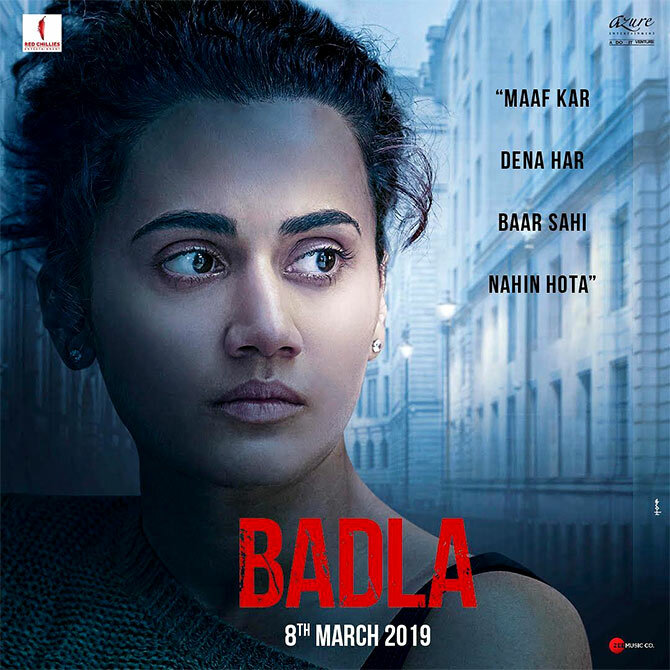 Badla is an official remake of the 2017 Spanish thriller Contratiempo and releases on March 8.